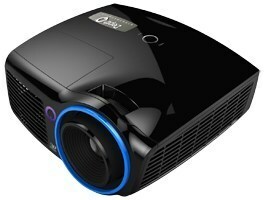 DepthQ® HDs3D2, portable high definition stereoscopic video projector for professionals. Lightspeed Design Inc., a worldwide leader in stereoscopic technology, today announced a new addition to its line of patented DepthQ® Projectors that deliver amazing 3D, the DepthQ® HDs3D2. n 2005, Lightspeed Design invented the world’s first portable 3D single-chip projector: the DepthQ 3D Projector. It was the culmination of years of 3D knowledge and experience a projector designed by 3D professionals for 3D professionals. Every new generation of DepthQ® 3D Projectors builds on our original design and the DepthQ® HDs3D2 is our best model yet. New to the HDs3D2 is HDMI 1.4 connectivity, full HD resolution 1080P 2D and 3D (for 24 or 30 image-pairs/sec input), plus superior contrast, synchronization and crosstalk to deliver the highest-quality, most satisfying and hassle-free 3D experience possible right out of the box. 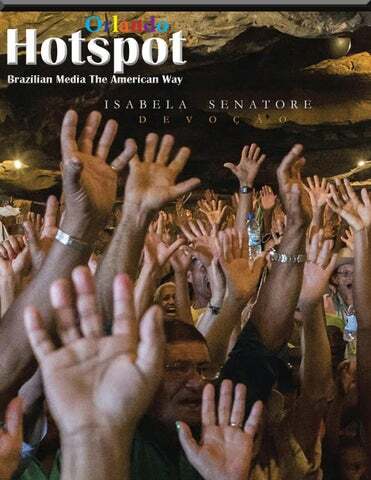 Availability: Now shipping! Lightspeed Design is the exclusive worldwide distributor of the DepthQ® HDs3D2 Projector. To purchase or for more information please use our Contact Form: (http://www.depthq.com/projectorcontact.html) or call +1 (206) 784-1385. The DepthQ® brand assures you of unsurpassed visual comfort and quality. DepthQ®/ Lightspeed Design, Inc. has been a worldwide leader in stereoscopic 3D for twenty-one years, developing landmark hardware and software technologies such as the DepthQ® Polarization Modulator for 3D digital cinema (over 1500 screens), the DepthQ® stereoscopic projector, and the DepthQ® family of 3D media software. 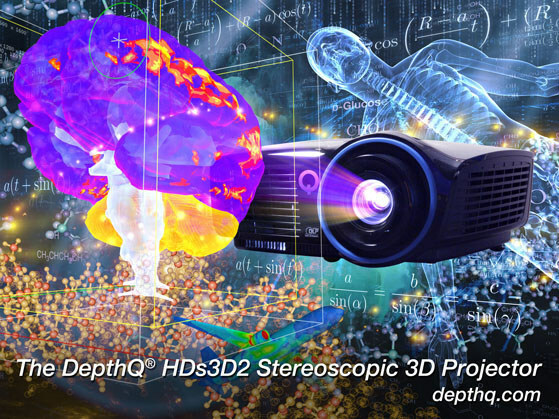 DepthQ® is a respected stereoscopic technology brand trusted by the most discerning clientele, and assisting in a wide range of disciplines – from 3D digital cinema…to screening rooms…to pharmaceutical visualization…to surgical support systems…to 3D film production. Lightspeed is headquartered in Bellevue, Washington, USA. For more information, visit us at lightspeeddesign.com or contact the company directly at 425-637-2818.